Cheese That’s More than O.K. What cheese do you normally use in your cooking or simply in your bread every morning? I grew up with Eden cheese and I love it. For me, there’s no other local cheese that can be any better than Eden. Until I came across O.K. Cheese. Its name is unassuming. The first time I saw it, it didn’t appeal to me or anything. It doesn’t have that ‘umph!’ that screams, ‘buy me and try me — I’m better’! But there was this one time that my husband actually bought it. Still not convinced though, I just let it sit in the fridge for the longest time. And when I finally decided to try it, it surprised me. I looked at the label again to make sure that it was O.K. Cheese that I just used for my Garlic Tomato Crepe. No joke. It’s more than OK! It was good. Actually it was really good. Much like my normal cheese but little better with a good balance of flavor. For its price of less than Php80 I got a very good cheese food that’s perfect for my cooking and my son’s plain bread. So whenever I go to the grocery, it’s now “O.K. !” in my cart. I don’t easily get swayed by packaging when it comes to candy bars but something caught my attention and it pulled me wanting for more. I’m talking about unit16sweets chocolates and it’s really funny how their company name came from their condominium unit “Unit 16” but amusing as they are, I think they’re very serious with their product. Unit16Sweets Chocolates are colorful, fun, and personalized. You can actually use them to make souvenirs for your parties especially weddings when you need more useful and sensible gifts to thank your visitors. The best part about these chocolates is that they come from Davao. Who wouldn’t want to support that? Buy Local, right?! In fact, I thought the whole business was just a re-packaging business out of Hersheys Candy Bars and I’m not about to exaggerate it but I think Mars Company and Hersheys should watch their back because if the kind of chocolate I tasted is what the future of our local confectionary industry would look like then for sure, they’ll be getting a run for their money. Costing PhP50 a piece from where I bought them in Robinsons Forum, the Dark Chocolate Peppermint tastes so alike Andes Mint Chocolates. They’re delicious! That’s no exaggerating. 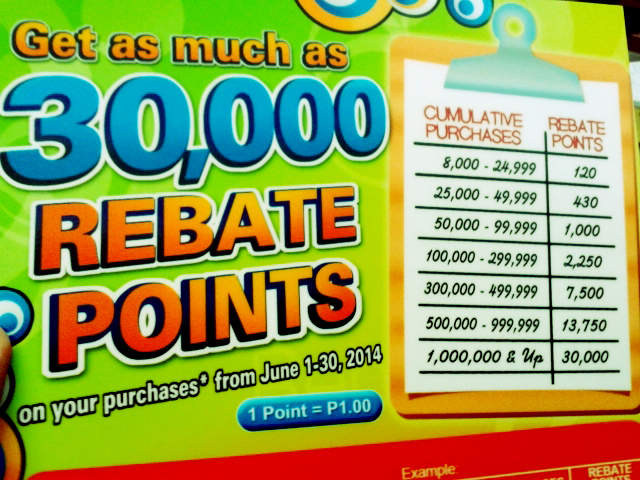 Consider this: Compute how much imported candies are and compute the value of supporting Philippines-made products? Who would you rather support? Now, wouldn’t you care about the fifty bucks I gave? Of course not! It will all be for a good cause and that is to support upcoming businesses, micro entrepreneurs is what I call ’em. The concept, the idea, the flavors are very exceptional that I volunteered to feature them here and that has nothing to do with the tasting yet. After trying one out, I thought more people should know about this. If you’re looking for personalized gifts, souvenirs for weddings, debutante’s parties, giveaways for events then you might want to consider re-branding your affairs with this love for chocolate. That’s why I didn’t have a problem naming my post, “It’s a Date, Chocolate!” because this is one sweetheart you don’t want to let go. PRODUCT PRICING? CHECK OUT HERE. Though I totally sympathize with Cebu Pacific and what happened to it over the controversy involving an ailing kid and his passport, I really felt bad for Mr. Mark Rotanel. I hope he still has a job. Far from it, I’m not absolving him of his responsibilities but I hope the following will improve — not just the subject’s — customer service but how to best avoid crisis like this in the future. What happened to Cebu Pacific? Let’s analyze it. Ailing kid, bad passport, life and death situation, pleading mom, and an employee that is just doing his job. What to do? The idea that one is employed, holding a frontline-‘supervisor’ position for a company in the airport, and taking care of a customer service job is enough for me to inquire both sides of the aisle (no pun) and ask the employee and the airliner’s HR department these areas of their job: (a) Their training and (b) Their capabilities? So read my post in addressing the two sides of the aisle of the company and we’ll conclude after. If Mr. Rotanel is fully trained then he should be able to handle himself and understand what the issue is at hand. The passport is not to his liking and he has good reasons why he is rejecting the boy’s entry. Was he trained like any other airport personnel, able to handle strenuous situation like that? Was he trained to call his supervisor who can handle the situation better? Was his supervisor open enough to help his people handle crisis like this? Starbucks rarely advertises on newspapers and my former boss informed every staff he has the it was the retailer coffee beverage’s duty to understand, by heart, what it means to serve the customer. This message was turned into regular workshops, tests, and exams for its employees, making it cheaper for the company to handle operations and prevent losses through unhappy customers and more. With its regular appraisal events, it needs little budget to advertise because they know that when they handled customers well, it will create a buzz and therefore help the company more. Was he fully capable? Was Mr. Rotanel feeling well that time? I’m sure he was looking for the safety and security of the concerned passenger but was he prepared to handle that type of crisis situation? Why did he have a fit? How did he get that position at the counter in the manner he displayed that fateful evening? So many questions but I would surmise that I think he is fit for that duty and something else triggered in why he did what he did. Could he be in a crisis himself? I’m no HR manager but what I do know is that people have their moods — customer or employee — and it is important for any company to make sure that their people are well, loved, and supported. I remember John Maxwell and he said in one of his seminars, “Hurting People Hurt People” and though he may not have used abusive words, the way he treated Cebu Pacific’s Customer is telling: they’re not people but numbers and digits and not people with feelings. Is Mr. Rotanel hurting? If he is then there should be a system that every employee should follow so that if crisis happens then they are physically, psychologically, emotionally, and perhaps, spiritually supported. I have cited questions, suggestions, and probabilities as to why things like this happened and how CebuPacAir can improve their services and how the employee should be always fit to serve. I want to be wrong — I always say, however, I always want to err on the right when it comes to taking care of customers. At the end of the day, you want the customers to talk about you and their relationship with you. In the age of Social Media, you always want people to talk good about you and you should make them talk not just because of how good your deal was but how you have a balance of good product and best customer service. In the end, businesses will earn best dividends and cash in a windfall of trust and repeat businesses. I wish Cebu Pacific well and I hope that as they learned their lesson, other companies will follow suit in doing what Mr. Schultz (Starbucks CEO) led his company to do and look forward to a better service to every Filipino consumer. It’s a win-win situation. 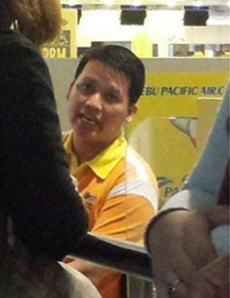 As for the airlines, let’s not judge Cebu Pacific nor the employee. Whatever took place — for sure — no one wants. What we should do right now is to improve our way of thinking in caring not just for customers but for employees as well. Picture of Cebu Pacific – thank you! Edgar, the pizza man at the Oscar’s tells it all when Ellen invited him to her show recently. Watch and find out what happened and how he ended up on the stage with her at the Academy Awards Night and what he got from Ellen after the interview.